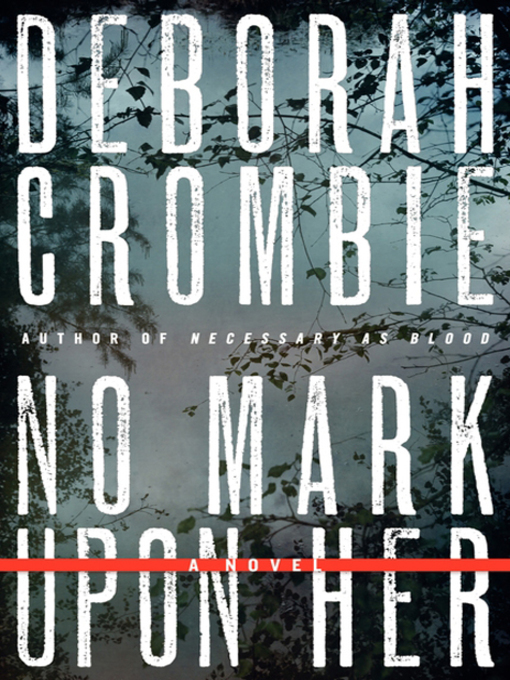 New York Times Notable author Deborah Crombie is regularly named among the greats of British-set crime fiction (P.D. James, Ruth Rendell, Elizabeth George et al) for her riveting police procedurals featuring Duncan Kincaid and Gemma James, Scotland Yard partners as well as devoted life-mates. A brilliantly conceived and executed, deeply atmospheric mystery, No Mark Upon Her embroils Kincaid and James in the case of the puzzling drowning of a rower, a Met detective, on the Thames. A finely-hued and twisting tale of psychological suspense—a story rich in deadly secrets, salacious lies, and unexpected betrayals—No Mark Upon Her is everything Crombie's fans have come to expect from this exceptional writer...and more.